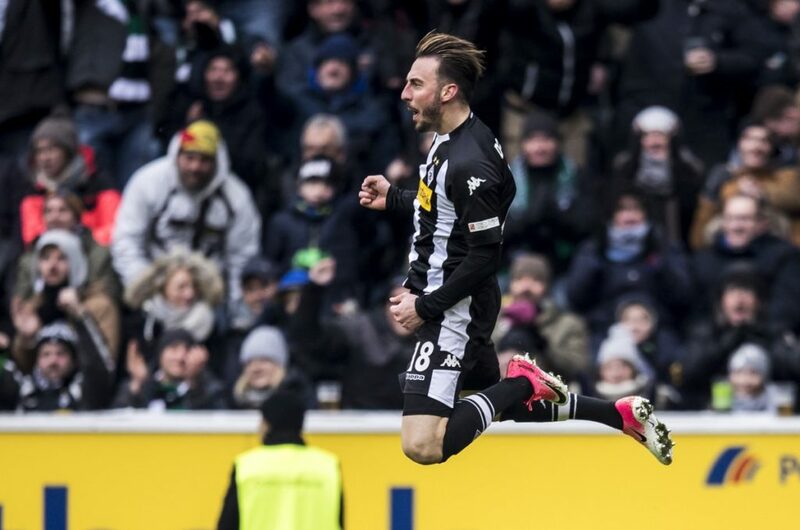 Borussia Monchengladbach came from behind not once, but THREE times as they drew against Hoffenheim at Stadion IM Borussia Park. MGB, who had won only once in seven games coming into this fixture, went behind when Benjamin Hubner nodded home Andrej Kramaric’s corner. They equalised in somewhat controversial circumstances when Josip Drmic, an early sub for Bobadilla, scored in the 33rd minute. Hoffenheim were insistent that Drmic had handled the ball, but after a VAR referral, referee Martin Petersen allowed the goal to stand. It was the Swiss international’s first goal in 2 and a half years for the club. Hoffenheim went ahead through Kramaric’s penalty close to the hour mark. That was cancelled out by Lars Stindl’s strike on 72 minutes, but Hoffenheim retook the lead almost instantly through Florian Grillitsch after MGB had lost possession in midfield. There was however more late drama to come. A 90th minute corner was headed away by Hoffenheim, but it fell to Raffael, who drove it across the face of goal to the unmarked Ginter at the far post, who made no mistake from close range. The goal denied Hoffenheim another consecutive win following their previous triumphs over Augsburg and Wolfsburg. Gladbach’s next game is away at FSV Mainz while Hoffenheim will be at home to Koln.